Knitted Wire Mesh Mist Eliminators Demister Pad Manufacturer In India. We Have Developed Our Leading Position Through A Commitment To Customer Service, Technical Expertise, Product Innovation And A 'Can Do' Philosophy. Knitted Wire Mesh Mist Eliminators Are Sometimes Called Crinkled Wire Mesh Or Mesh Blankets. Laktas Has Manufactured Thick Pads Of Knitted Wire Mesh For Use In The Oil And Gas Industry Since 1990. Knitted Wire Mesh Is A Cost-Effective, Reliable Solution That Is Well Proven And It Continues To Be Used In Modern Equipment Designs Today. The Knitted Wire Media Provides Surface Area For Entrained Liquid Droplets To Strike, Adhere And Coalesce Into A Free Flowing Liquid Film Which Drains By Gravity. The Souders-Brown Equation, A Function Of Gas Velocity, Gas Density And Liquid Density, Is Used To Determine The Appropriate Flowing Velocity For A Given System. The Souders-Brown Equation Is: Where Vg = Design Gas Velocity K = Capacity Factor Pl = Liquid Density Pg = Gas Density The Capacity Factor Is Determined Through Experience And For Each Application. It Is Influenced By The Type And Style Of Mist Eliminator, The Relative Geometry Of Mist Eliminator To Vapor Flow, As Well As Process Considerations Such As Operating Pressure, Fluid Viscosities And Liquid Surface Tension. Typical Values Are 0.35 Ft/Sec For Vertical Flow And 0.42 Ft/Sec For Horizontal Flow, Assuming An Air Water System At Ambient Conditions. Demister Pad Knitted Wire Mesh Mist Eliminators Demister Pad Manufacturer In India. We Have Developed Our Leading Position Through A Commitment To Customer Service, Technical Expertise, Product Innovation And A 'Can Do' Philosophy. Knitted Wire Mesh Mist Eliminators Are Sometimes Called Crinkled Wire Mesh Or Mesh Blankets. Laktas Has Manufactured Thick Pads Of Knitted Wire Mesh For Use In The Oil And Gas Industry Since 1990. Knitted Wire Mesh Is A Cost-Effective, Reliable Solution That Is Well Proven And It Continues To Be Used In Modern Equipment Designs Today. The Knitted Wire Media Provides Surface Area For Entrained Liquid Droplets To Strike, Adhere And Coalesce Into A Free Flowing Liquid Film Which Drains By Gravity. The Souders-Brown Equation, A Function Of Gas Velocity, Gas Density And Liquid Density, Is Used To Determine The Appropriate Flowing Velocity For A Given System. The Souders-Brown Equation Is: Where Vg = Design Gas Velocity K = Capacity Factor Pl = Liquid Density Pg = Gas Density The Capacity Factor Is Determined Through Experience And For Each Application. It Is Influenced By The Type And Style Of Mist Eliminator, The Relative Geometry Of Mist Eliminator To Vapor Flow, As Well As Process Considerations Such As Operating Pressure, Fluid Viscosities And Liquid Surface Tension. Typical Values Are 0.35 Ft/Sec For Vertical Flow And 0.42 Ft/Sec For Horizontal Flow, Assuming An Air Water System At Ambient Conditions. 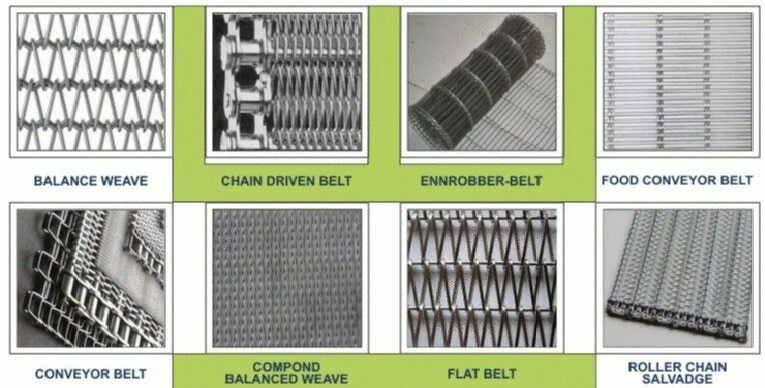 Mesh Styles Filament Diameter, Filament Surface Area, Pad Thickness, And Interfacial Surface Tension Between The Filament And Collected Liquid Are The Primary Variables To Consider In Specifying A Knitted Mesh Pad. The Laktas Style Lak 150 Is The Industry Standard General Purpose Mesh. It Is Rated To Remove 99.9% Of 10 Micron Droplets With 1” Water Column Pressure Drop, Based On Air And Water At Ambient Conditions. We Have Developed Many Additional Mesh Styles To Tailor The Mist Eliminator Performance To Your Needs. With Commitment To Quality And Excellence, Specializing In Projects, We Work Closely With Our Customers To Meet Their Exact Requirements.